To take positive, measurable action to restore the natural wild salmon runs to rivers of Northern California. Our primary concern at this time is the renovation of local streams to their natural health condition. Projects on the Noyo and Big Rivers are our main focus. 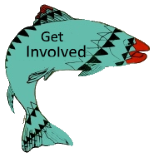 We also educate the public about salmon population issues, both in streams and the ocean. Our primary funding comes from our annual event…The Worlds Largest Salmon Barbecue. 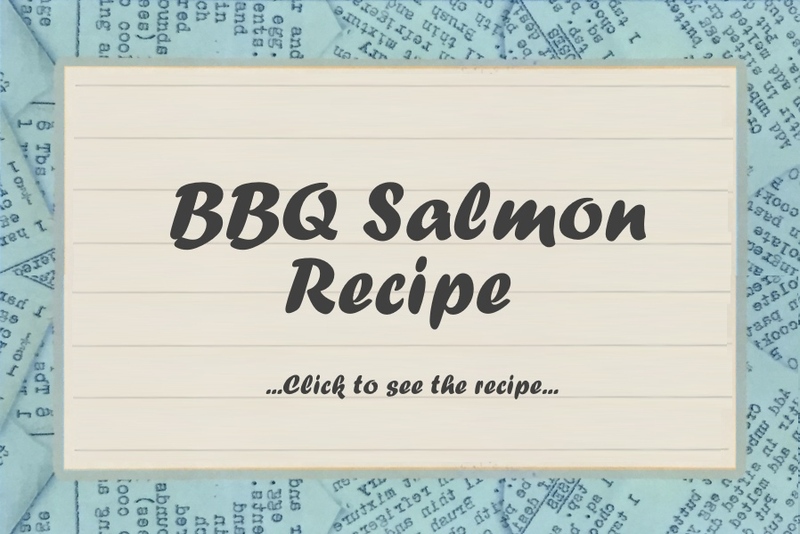 The BBQ is part of California’s history, Representative Mike Thompson of the 3rd district, has filed The Salmon Restoration Association’s “Worlds Largest Salmon Barbecue” as a Local Legacy project with the Library of Congress. Salmon Restoration Association (SRA), a group of fishermen, biologists, and concerned businesses and citizens of the area, which started in 1971 to raise funds to improve the salmon fisheries of the region. 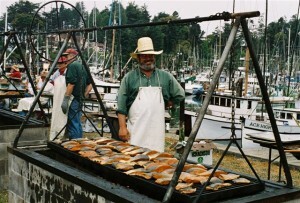 Each July they hold the “World’s Largest Salmon Barbeque” in Fort Bragg which has become nationally recognized event featured in travel and food related television programs as well as magazines. The original goal of the SRA was to raise funds for the purpose of propagating young salmon in hatcheries located in their native streams. 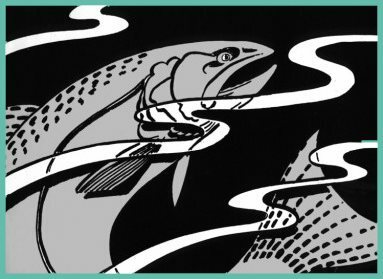 The young salmon (“smolts”) were to be later released to continue their life cycle by migrating to the open ocean, maturing there, and then returning to the rivers and creeks where they began life to spawn. This effort was found to be far less successful than biologists had hoped. Because water in salmon streams became too shallow and warm in the summer, and sediment-filled creeks could not maintain enough oxygen for healthy reproduction and growth a new strategies needed to be adopted. The Salmon Restoration Association was asked to focus its efforts to improve habitat in stream through restoration, particularly of Coho salmon in Mendocino County. The SRA now works to restore streams and creeks to there once healthy habitats where Coho salmon can spawn on their own and their young can live and grow until its time to return to the ocean. Many local non-profit environmental organizations, as well as Trout Unlimited, the California Conservation Corps, NOAA, California Fish and Game and other government entities are involved in these projects. Coho salmon spawn (breed) in small coastal streams with gravel bottoms and deep pools, and this makes them vulnerable to the impacts of civilization. A female Coho “digs” a shallow nest by fanning the gravel rapidly with her strong tail fin and lays many eggs, which are then fertilized by the male. She may produce several nests of eggs a few days apart. The eggs typically hatch in March and April, and the adults stay near the nests until they die nearby and their decomposing bodies become food for the hatchlings. The deep pools allow the tiny fish to hide from predators and maintain their ideal low body temperature. The gravel stream beds create riffles that clean and oxygenate the water. In our local streams the hatchlings grow for 22 – 24 months. During this time they reach 8” – 10” in length, but their numbers have been reduced from 10,000 eggs to 200 “smolts” now ready to make the journey down the creeks, streams and rivers to the tidal bays during the late spring rains of April and May. It is in the brackish tidal bays that they “imprint” the specific chemical scent of their birth stream and as adults will seek this exact stream to breed several years later. They may also use some kind of gravitation navigational system to locate the site. Once in the open ocean, Coho salmon do not migrate far, typically feeding within sight of the coast. They feed and grow over the next four years until they reach sexual maturity when they average 24” – 28” in length and weigh 6 – 9 pounds. They are opportunistic feeders looking for fish, squid and crustaceans. While they live in the ocean, the Coho are bright silver with bluish green undertones. As spawning time approaches, they become a dull greenish brown or maroon. The males develop a red stripe that can spread over most of the body and they develop an extended hooked jaw and exhibit increased aggression. Of the 200 Coho smolts which left the stream, frequently only one adult will return! When the winter rains begin, in October and November, they begin the journey back upstream in the spawning run. From the time they begin this run they will not feed at all again. Native Americans lived successfully on the North Coast for thousands of years and made their living off the products of the sea and the woodlands. In the early 19th Century, Russians established Fort Ross as an otter hunting post and for agriculture to support their Alaskan colony and probably were the first Europeans to explore the coastal lands here. Following the discovery of gold in 1849, the interest in northern California and its treasure of natural resources boomed. Whalers and otter and seal hunters came from the East coast and from Europe. But with the rapid population growth it was the redwood and Douglas fir forests that drew thousands of people to the north coast since timber was desperately needed to house them. Every coastal inlet, large or small, had a population of timber harvesters and many had lumber mills as well. It was thought that the old growth forests would support centuries of harvesting! The devastating 1906 Earthquake in San Francisco was a huge boon to the timber industry – the Mendocino County redwoods rebuilt San Francisco! However, the logging practices of the time were far more devastating and in a long-term way – the ecology of the north coast creeks, stream beds and rivers was radically changed. The forests were often clear-cut (all big trees taken out and smaller ones cut and left to rot). The trees were dragged down hillsides and dumped into larger streams so the winter rains would float the timber out to the waiting lumber mills in the river mouths. The result was massive erosion of hillsides into the streams filling them with silt thus burying the deep gravel beds. Additionally, the streambeds were scoured flat with no deep or shaded pools. Salmon habitat was decimated, salmon populations rapidly declined and another important economic base of the region was nearly destroyed. As the timber resources ran low, the industry declined, leaving abandoned camps, mills and towns throughout the county. The fishing industry continued successfully for many years, but it has been seriously impacted by overfishing, poaching and environmental changes in recent years. The Mendocino coast draws visitors from all over the world because of its natural beauty and it is has become home to hundreds of artists who have chosen to live and work here for the same reason. Serving those visitors has become a key economic resource for the area. Our remote coast seems nearly untouched by the busy modern world, but we are quickly becoming aware that it is seriously at risk on many fronts ranging from picnic debris left on beaches and cigarette butts dropped in gutters, to the enormous and unknown results of global temperature changes. Our coastal environment is extremely fragile and vulnerable. In the relatively short time since the region was discovered by entrepreneurs who made a living by harvesting from the land and waters, such radical changes have occurred that those livelihoods have nearly been destroyed. Once the cores of the local economy, both timbering and fishing have now been severely impacted by harvesting methods used in the past that have gravely damaged the ecosystem. The Salmon Restoration Association in partnership with many other organizations are restoring creeks and streams that feed Big River to a condition close to that which existed before the coastal redwood forests were clear cut over 200 years ago. The stream beds which had been full of riffles and pools that make ideal habitat for salmon young were scoured flat by logs pulled downstream to the timber mills on the coast, and then ultimately filled with sediment from the eroded hillsides. 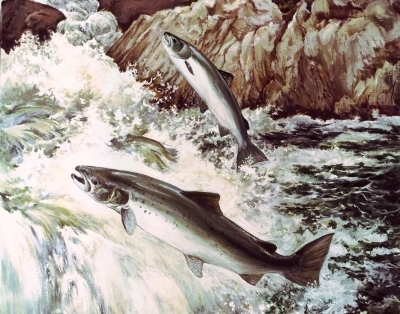 The salmon which do make the journey upstream from the sea will have good habitats to spawn, protect their eggs from predation and the hatchlings will have a healthy environment to thrive before their journey to the sea. With this effort, the Coho salmon should be able to re-populate our coastal waters. Like projects on the Noyo River in Fort Bragg, SRA is currently focused on the streams which feed Big River at Mendocino. Proceeds from the 2010 and 2011 BBQ plus donations received during this time will be used to improve salmon habitat in the Big River watershed.